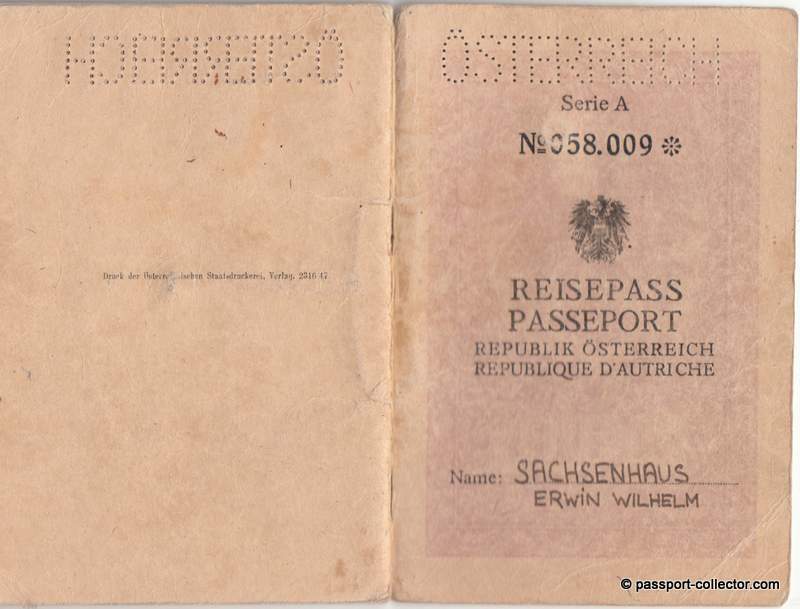 The Austrian passport is quite interesting as it was issued 1948 in Shanghai. 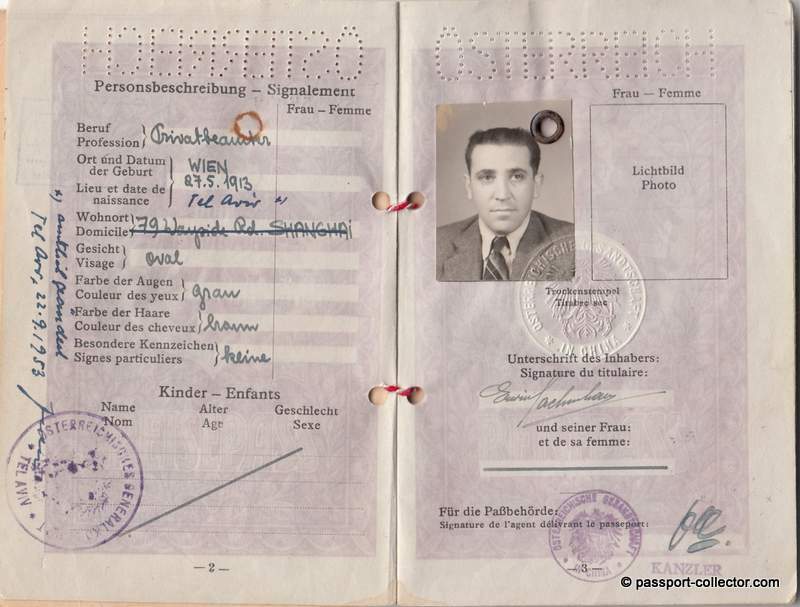 It’s Jewish bearer was most likely fleeing from the Nazis. 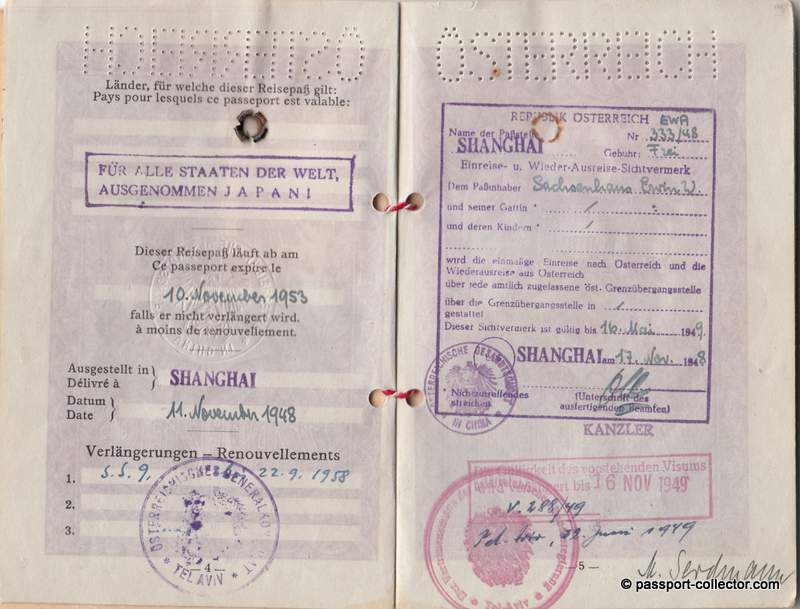 Shanghai was during the Nazi area a safe harbor for Jews, at least for some time. But Shanghai had also a Jewish Ghetto from 1941-1945 during the Japanese occupation. 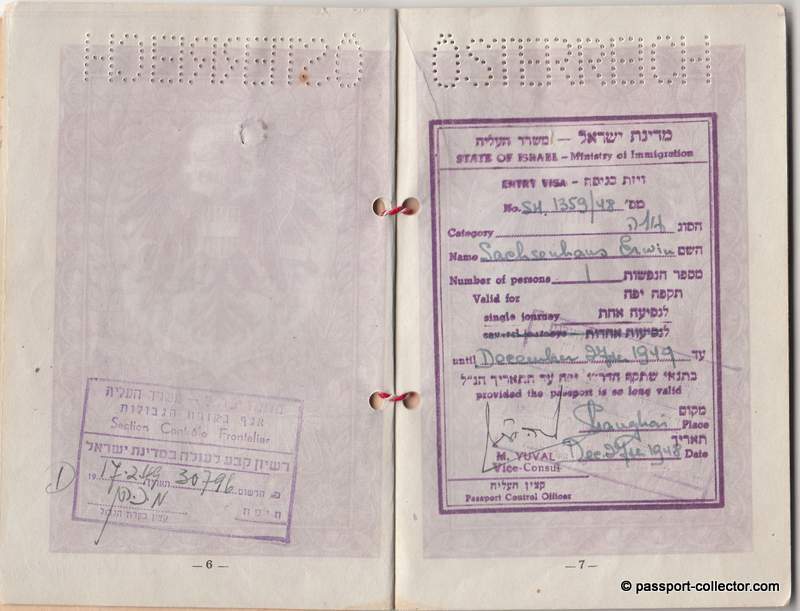 His passport shows also a visa from Dec 1948 for the just founded State of Israel (May 1948). Further we see border stamps from Switzerland, Greece and Italy. 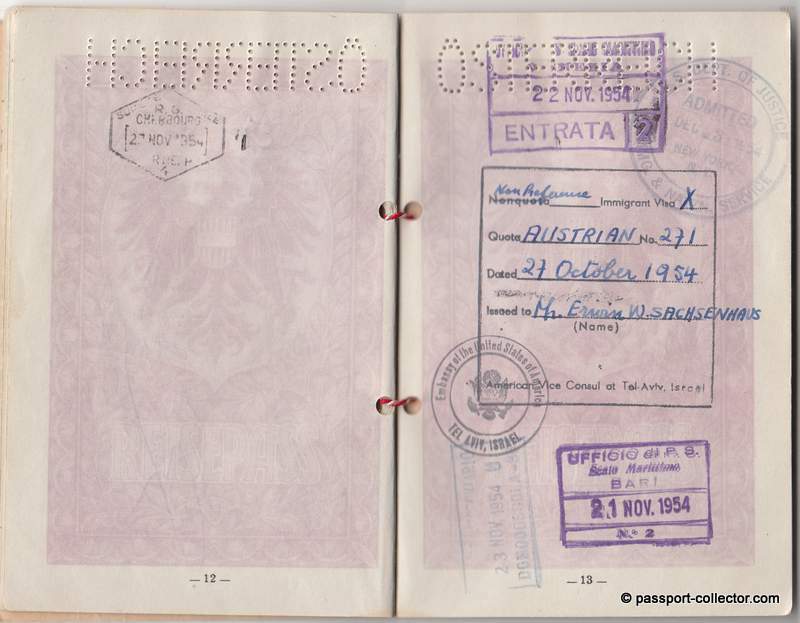 Finally a US immigration visa from 1954 and the US stamp from Dec 1954 proved he made it indeed to the USA. 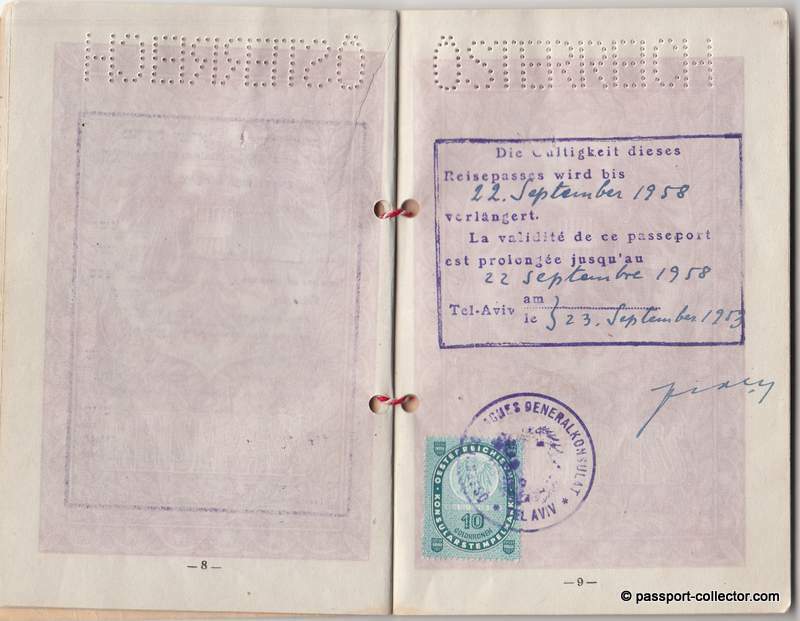 The passport was renewed and valid till 1958. 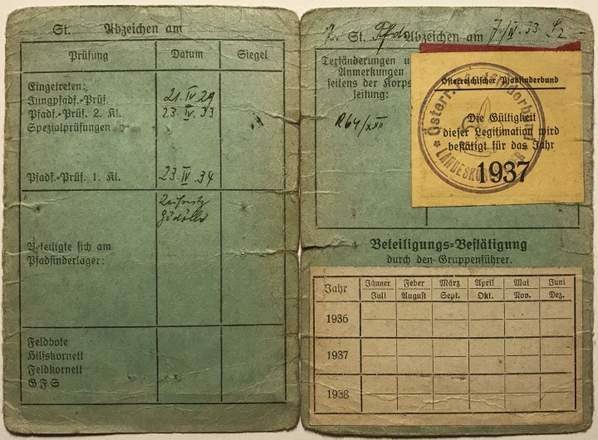 Consular passports are always interesting but this early post-war Austrian travel document issued in Shanghai, China is a extraordinary document of individual personal history and passport history. Another interesting fact: The stamp on the inner cover page “SS TETI, 3rd class”. The ship TETI was the first ship that arrived in the State of Israel, at the Tel Aviv anchorage, on the day of the Declaration of Independence. 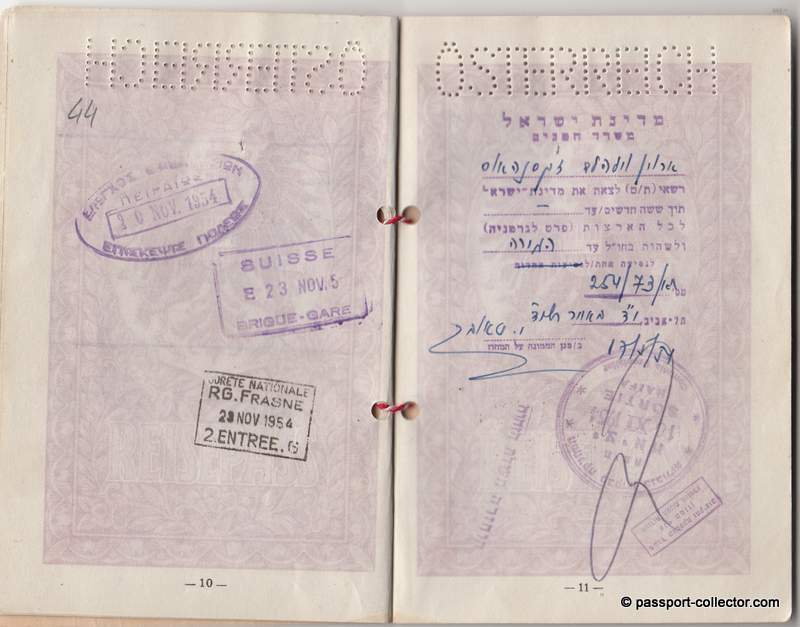 The overseas recruits & volunteers who were on board had been supplied with false visas produced by the “laboratory” of Ha’Mossad Le’Aliya Bet in France (this type of entry into Palestine was known as Aliya Daled). They did not need these visas now and entered the country legally. 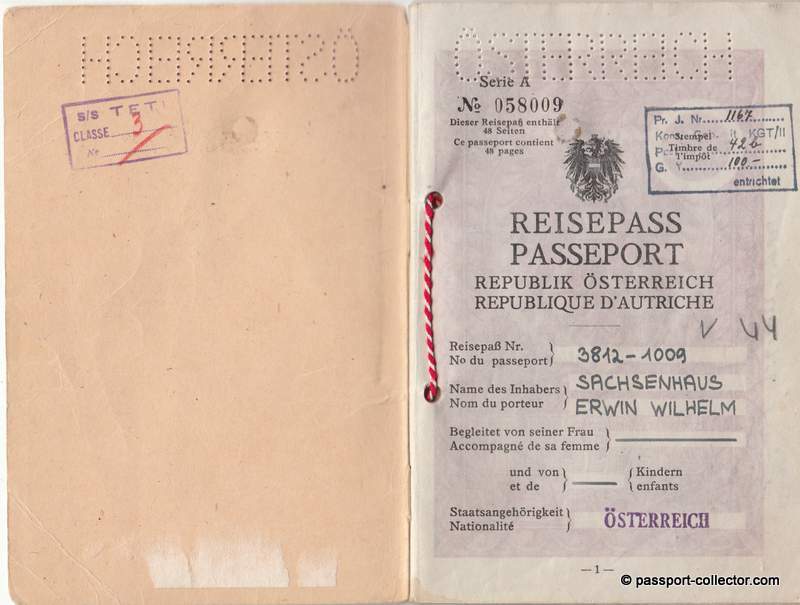 At a deeper research I also found these documents the passport holder. Boy Scout lot of seven items including identification papers for a scout in the Austrian Boy Scout Association. 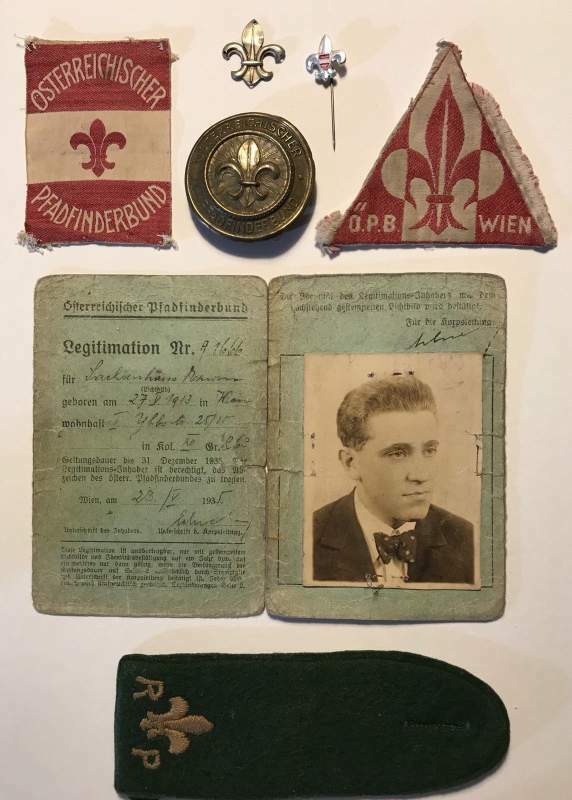 Advancement dates of 1929 through 1934. includes patches, belt buckle, should board, stick pin, and insignia.This Austrian Scout identity card is for Erwin Sachsenhaus, born on May 27, 1913 in Vienna, Austria. The inside of the card lists his Cub Scout Test having been passed on April 21, 1929, Second Class Scout Rank on April 33, 1933, and First Class rank on April 23, 1934 The Information on the card is certified and confirmed for the year 1937. According to his Boy Scout Shanghai Branch card (not displayed), he was a Rover Scout by 1933 and still living in Vienna. The Shanghai card further lists him as a founding member of the 13th Shanghai Group in October 1939. 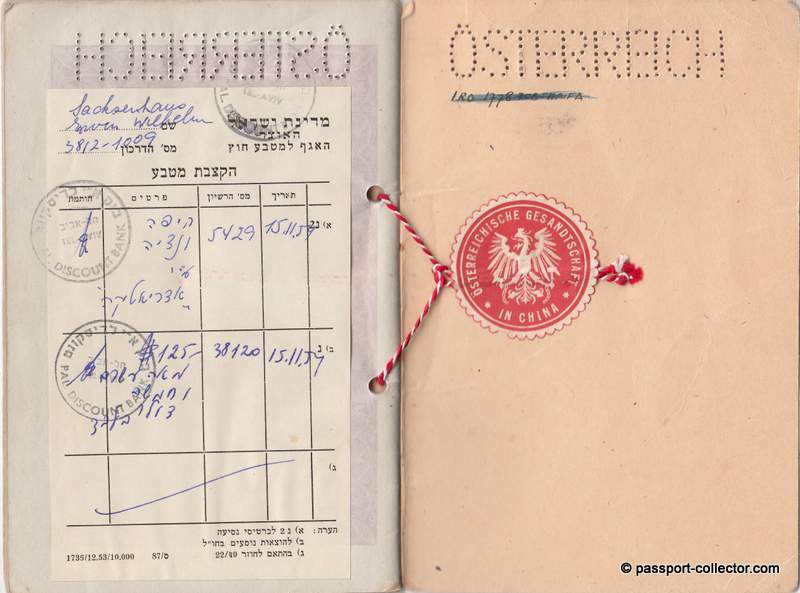 A rare evidence of Jewish early post war return from refugee abroad due the Nationalism and Holocaust into the Holy Land and in this case with final destination USA.